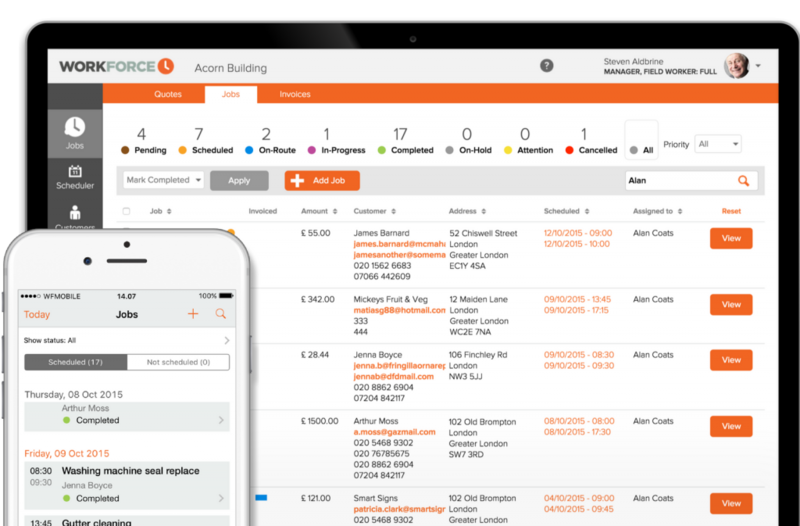 Workforce.FM is a real-time field service and job management software for holiday lettings, especially if your business involves field workers. We’ve developed Workforce.FM to bring teams together, increase productivity and improve service delivery. Scheduling is one of the most important aspects to successful job management in a holiday lettings environment, ensuring that field workers never interrupt guests’ stays and that all works are complete before they arrive. Workforce.FM offers field service teams who work at holiday lettings a straightforward solution for effective timetabling. The scheduling tool is intuitive and features a user-friendly drag and drop motion to create jobs in seconds. Use a predefined template or create a one-off job for a customer and manage your locations with our adaptable system. Additionally, if any urgent work is needed before, during or after a guests’ stay, jobs can be scheduled with the help of GPS tracking to get the nearest field worker to the property in record time. Reduce time between jobs and make sure everything gets done by making common sense decisions based on location. There’s no better way to gauge how your customers are feelings about the delivery of services than by speaking with them directly. Workforce.FM gives you an opportunity to communicate openly and productively with customers at every stage of service delivery. From within Workforce.FM’s user-friendly Customer Portal, customers easily can view and request jobs at the simple click of a button. 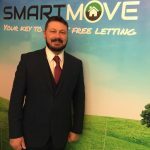 This is particularly useful if any work should need doing urgently before or during a guests’ stay at a holiday lettings property. The Customer Portal centralises all information related to payments so that your customers can easily view quotes and invoices, as well as request a quote for new work. Workforce.FM easily integrates with your existing accounts software, which alongside Stripe card payments unlocks the ability to process payments against invoices from within the Customer Portal. Fast and effective communication can be make or break for holiday lettings companies, whose deadlines are defined by their guests coming and going. The Customer Portal in Workforce.FM includes a two-way direct messaging feature to give your customers the opportunity of contacting you at a moment’s notice, as well as discussing quotes, invoices, scheduling and jobs. 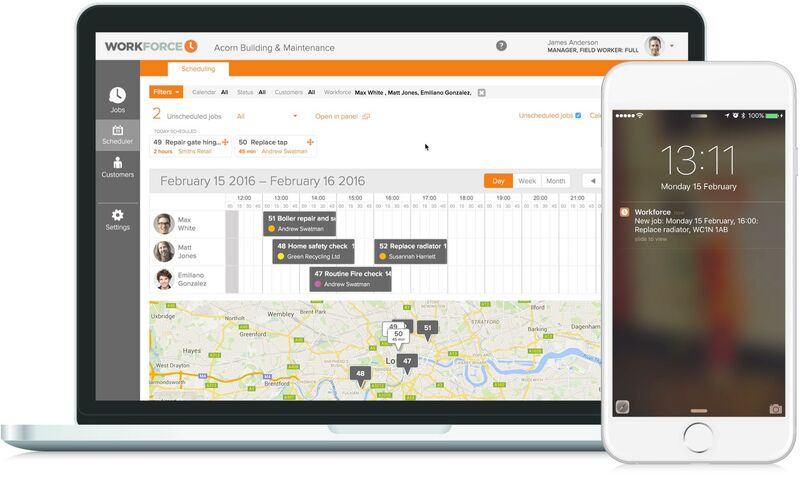 Workforce.FM makes life easier for Holiday Let Management by simplifying and streamlining job management and field service operations. Our real time platform lets you schedule, allocate, track, quote and invoice jobs seamlessly. Instant photo and signature capture means Holiday Let Management can do their work without worrying about paperwork. All details are synced and organised instantly across the Workforce.FM platform, keeping field workers and office-based staff up-to-date at all times.